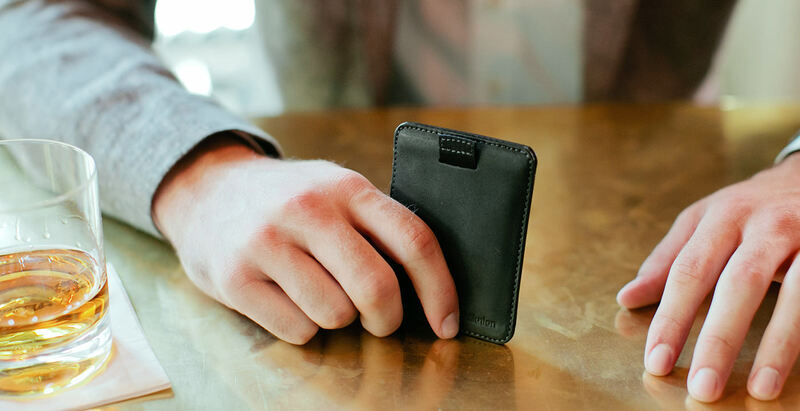 If you’re a true minimalist, or you’re looking for a small auxiliary wallet or sleek business card holder, Wally Sleeve is pure perfection. 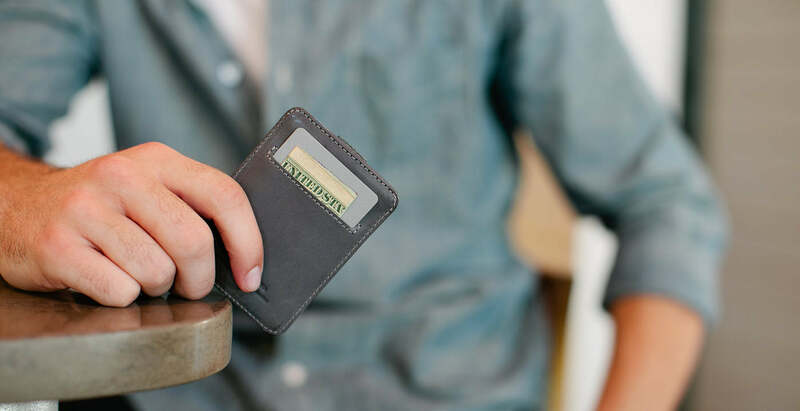 With FlexLock™ for added security, Wally Pull-Tab™ for easy card access, and an outside quick-access pocket, this slim wallet gets the job done. Simply. 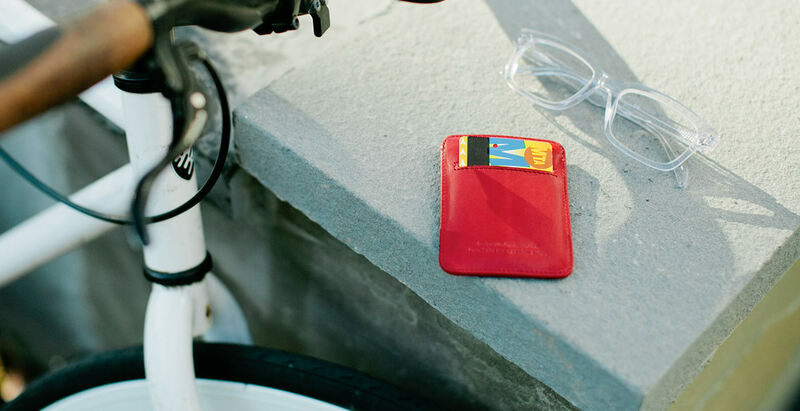 Cards stay securely inside the patent-pending FlexLock™ pockets – Watch it pass our shake test! 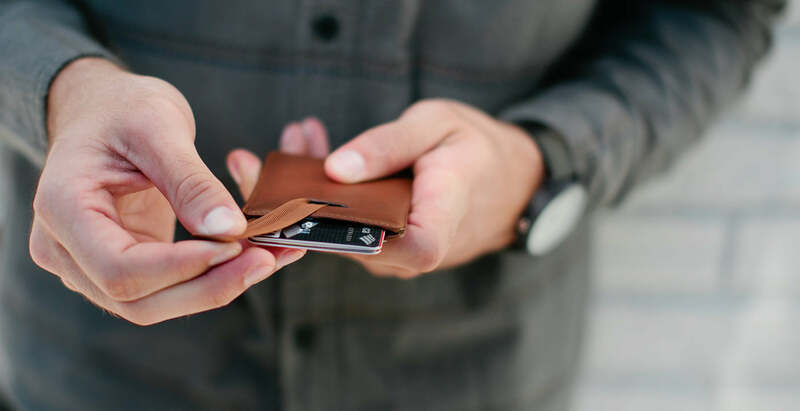 Keep your suit (or skinny-jean) silhouette looking good with a sleeve-style wallet that slips effortlessly into your front pants pocket or jacket inside pocket. We know what you’re thinking – how can I carry less? Learn how. 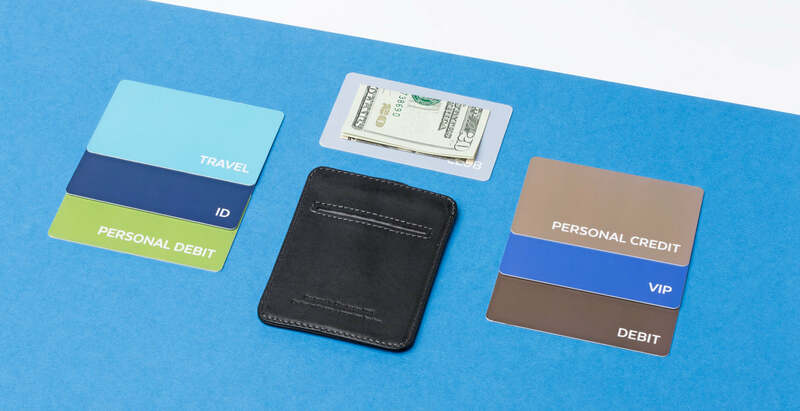 Access and security: Wally Sleeve holds folded bills and cards inside the FlexLock™ pocket, with Wally Pull-Tab™ to easily reveal your contents. 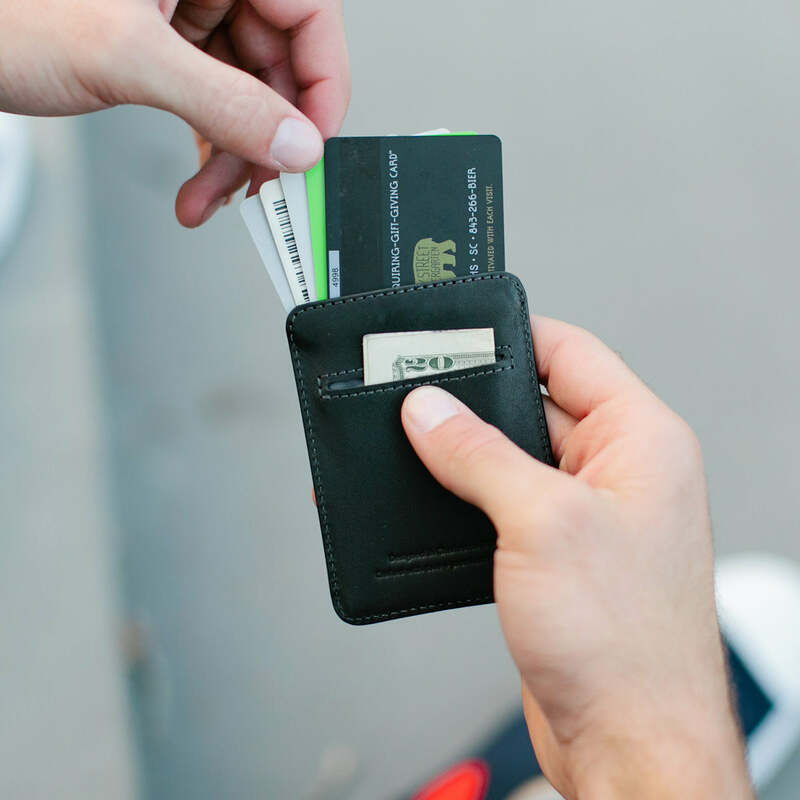 Use the outer pocket for quick access to a frequently used card and cash.